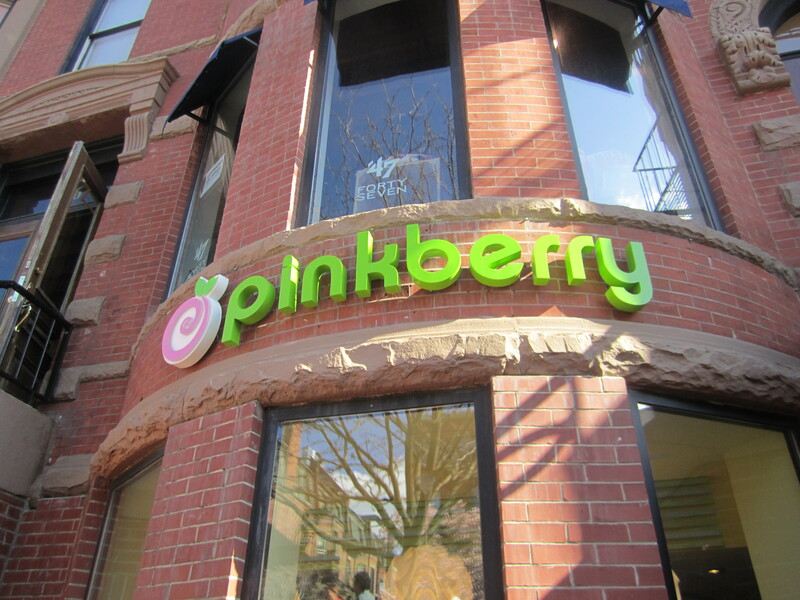 The Pinkberry on Newbury recently opened and it was packed. 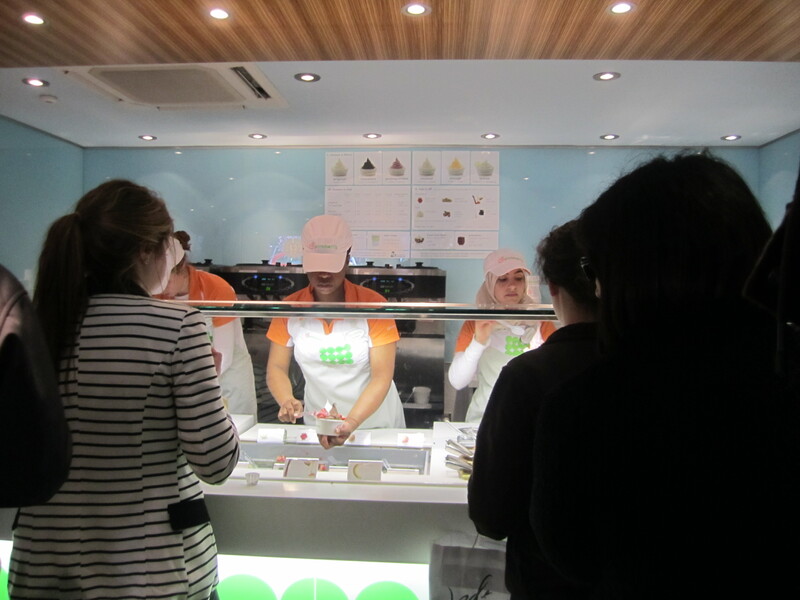 There were approximately 15+ people waiting in line and after a 10 minute wait, we made it to the front of the line to taste the various flavors including coconut, chocolate, original, lychee, mango and pomegranate. 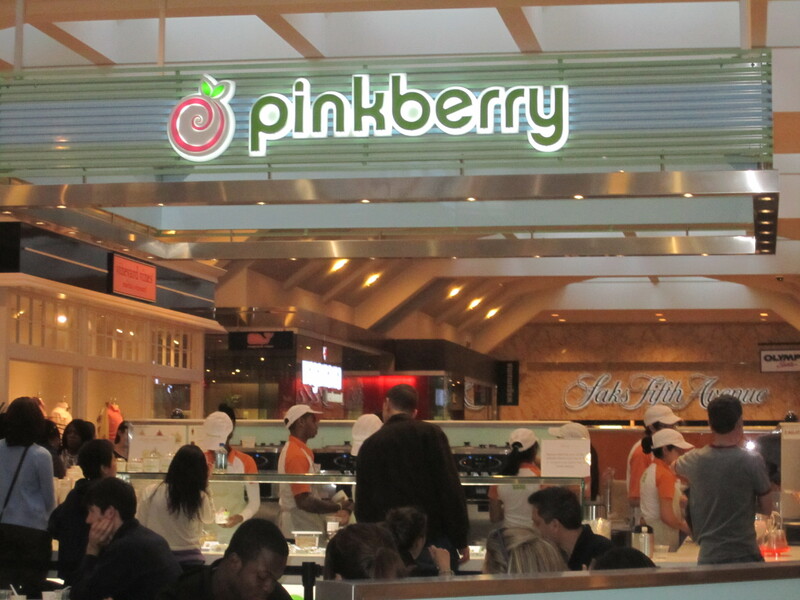 Pinkberry was created in LA and we believe its tangy non-fat yogurt is light and satisfying. Decisions to decisions. Do we want a smoothie? Parfait or take a quart home? 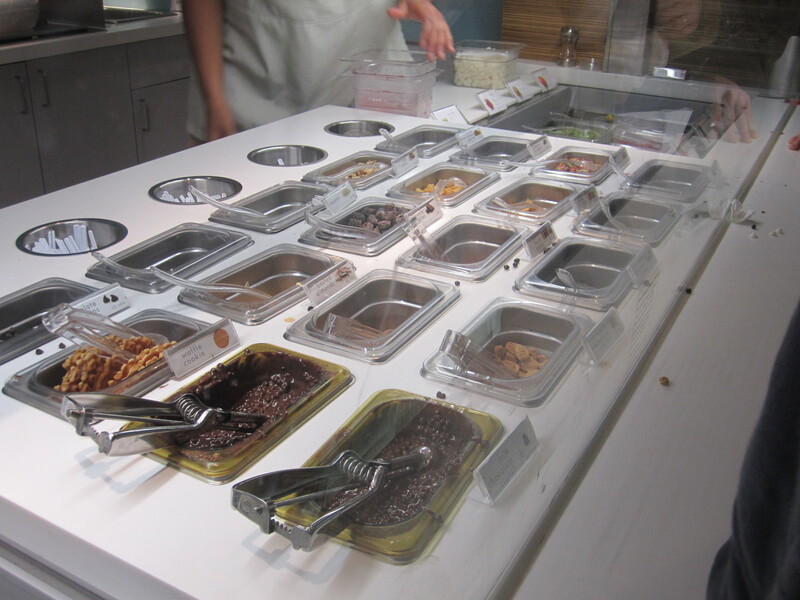 There were so many toppings including kiwi, strawberries, raspberry, blueberry, mango or waffle cookie, chocolate chips, mochi and gummi bears. We had a half and half chocolate and pom with raspberry, almonds, mochi and cheesecake. 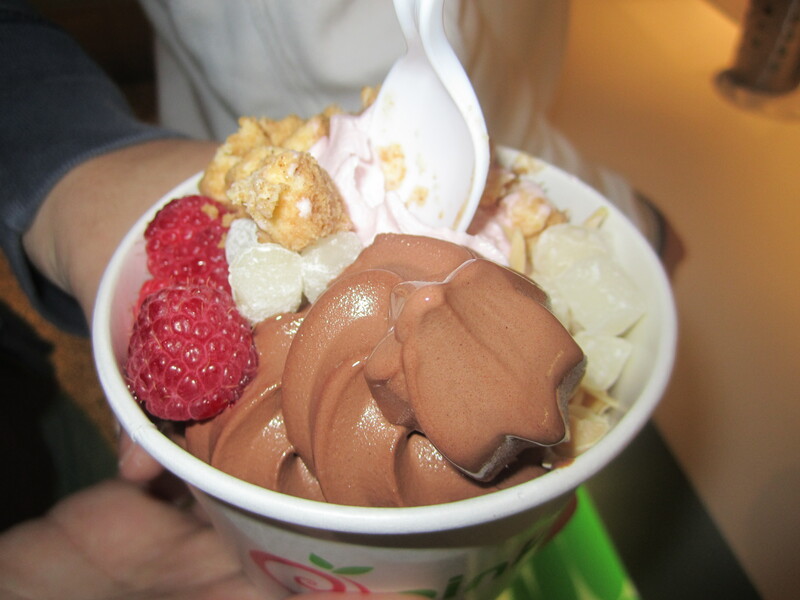 Such an overload of amazing toppings. 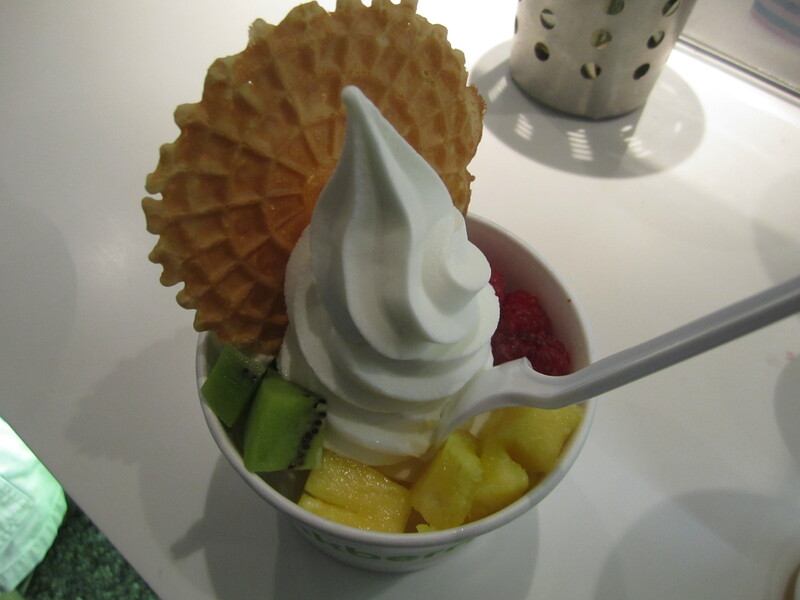 A decorative original flavor yogurt with waffle cookie, kiwi, mango and raspberries. 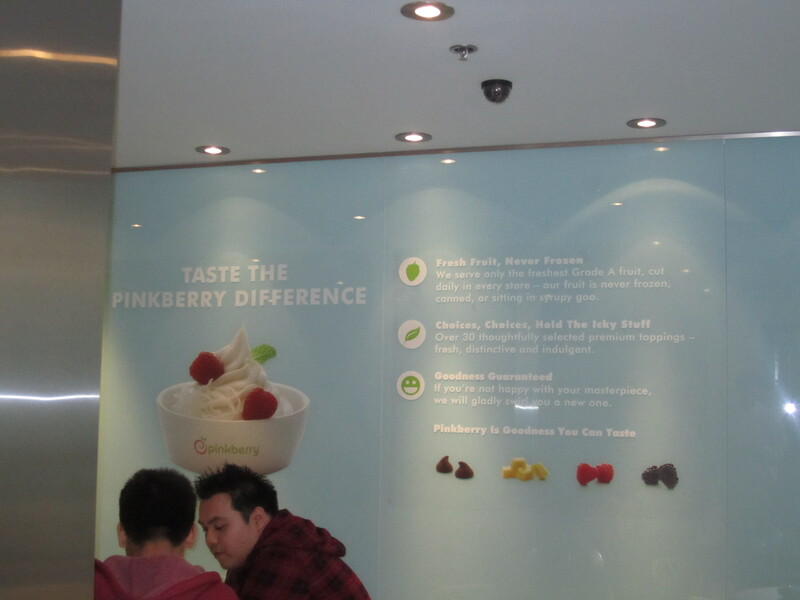 Additionally, Pinkberry at the Prudential is finally open, located right near Wagamama and Vineyard Vines.